Peruvian model Juana Burga, after A Show, NYC, September 2014. @Everyone - thanks so much for letting me know Juana's name! Model and stylist Victoria Sekrier, after A Show, NYC, September 2014. After Tory Burch, Lincoln Centre, NYC, September 2014. American model Devon Windsor, after A Show, NYC, September 2014. Love Devon's peasant dress + boots! So cool. 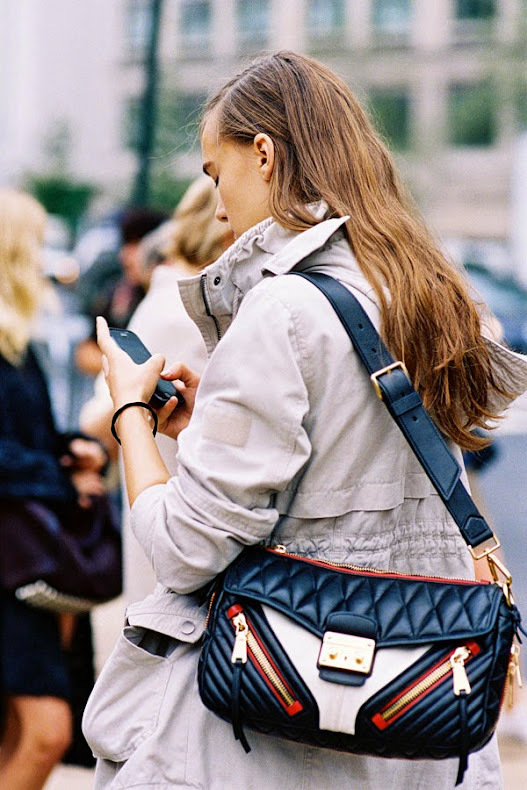 Helena Bordon, before Derek Lam, NYC, September 2014. Camille Charriere of Camille Over The Rainbow, Tuileries, Paris March 2015. Hair and make-up inspiration via Polish model Ola Rudnicka, after A Show, NYC, September 2014. Kelly Framel of The Glamourai, before A Show, NYC, September 2014. A gorgeous way to style a pencil skirt: team with a knotted, unbuttoned white shirt, pretty bra and summer sandals. Fashion Director Glamour (UK), Natalie Hartley, before Louis Vuitton, Paris, March 2015. 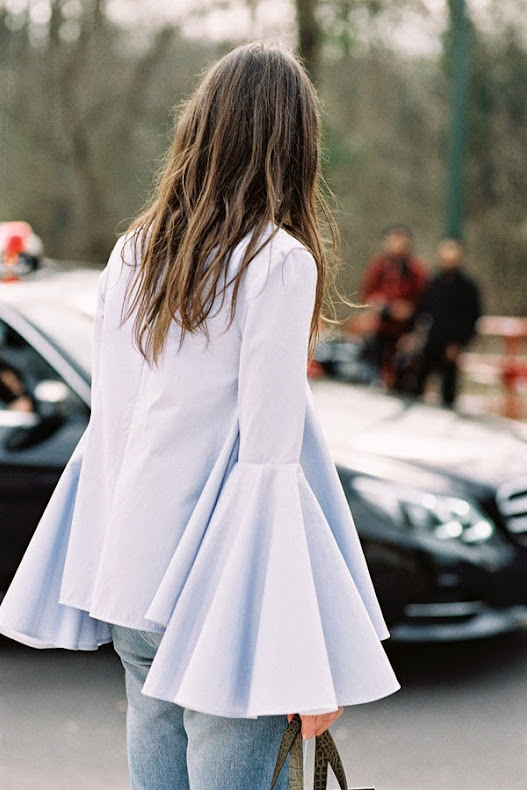 Laberiane Ponton of The Blab, after Louis Vuitton, Paris, March 2015. Chinese model Ming Xi, after Balmain, Paris, March 2015. 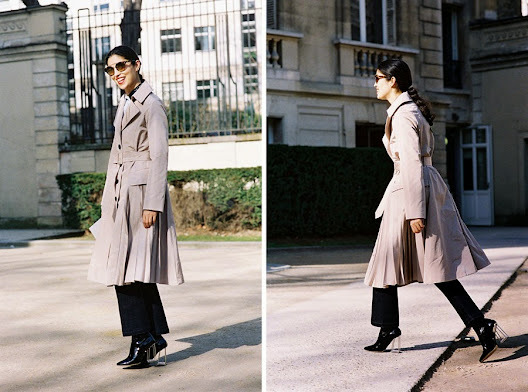 Tank magazine's Caroline Issa, before Maiyet, Paris, March 2015. 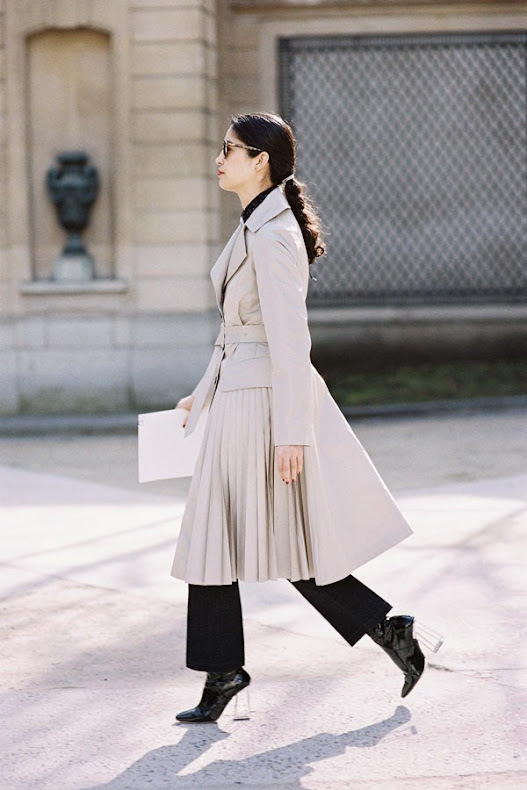 Valentina Siragusa of Factory Style blog, before Carven, Paris, March 2015. Elin Kling, before A Show, NYC, September 2014. 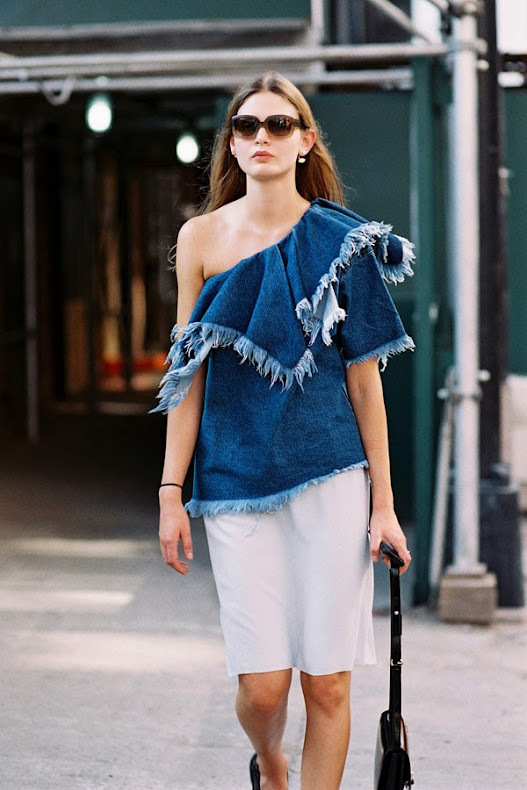 Ukraine model Irina Kravchenko, after Rodarte, NYC, September 2014.